Launching the Manuscript Submission Blueprint! 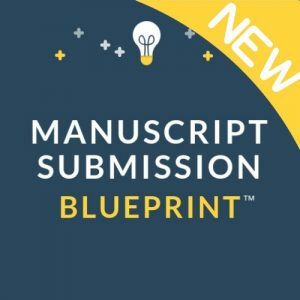 For over a year, I have been working with Laura and Jon over at Writing Blueprints to create the Manuscript Submission Blueprint, a system of information that gives you everything you need to know to assemble a manuscript submission to literary agents and/or publishers. Now, you may or may not know the following about me: I do not commercialize this blog lightly. I get requests oh, probably every day for guest posts, contributor posts, advertising links, blah blah blah. The blog gets a lot of traffic and is prominent in the children’s book space, so plenty of people find it … and they all want me to help them sell stuff to you. In 99.99% of cases, I say no. In fact, I only directly sell three things on this blog (and I try to keep it as unobtrusive as possible): My book, my editorial services, and any webinars, events, or conferences I’m personally involved in. You will notice that all of these are my things. I also use affiliate links to Amazon and Writing Blueprints. But that’s it. Otherwise, I only recommend a book or a resource if I find it myself and love it. Never because someone else asks me to boost it. Why? Integrity. Because I genuinely love writers. I genuinely love to teach and be a helpful resource. And I genuinely love to help children’s book writers make their dreams come true. I also really care about having your trust. I can’t do that if I’m shilling for anyone who emails me. Instead, I write long and (I hope) enriching craft articles for “nothing” in return and that’s exactly how I like it. I could’ve monetized this blog halfway to Mars by now with ads and guest posts. But that money wouldn’t be worth it because the blog wouldn’t be true to itself, true to you, or true to who I am. So when Laura and Jon approached me to create the Manuscript Submission Blueprint, I was naturally skeptical. Were these Blueprints good stuff? Truly helpful and informative to writers? Were they fairly priced? Did writers get good value for their investment? Was there a ton of useful information, and was it quality? Was the system easy to use? I took a few of the classes and … loved them! Like, I was blown away by what was being offered for the price. In short, Writing Blueprints met all of my fussy criteria, so I agreed to develop the Manuscript Submission Blueprint. You may know Writing Blueprints from using one of their other products. 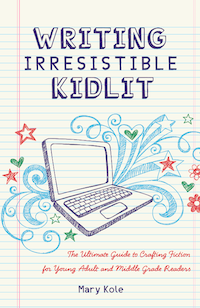 They are the same brand as the Children’s Book Insider newsletter, and offer interactive online processes for writing middle grade and young adult (taught by the amazing Alice Kuipers), writing picture books (from Laura Backes), self-publishing (from Theresa Funke) and more. What is the Manuscript Submission Blueprint? The Manuscript Submission Blueprint is ALL ABOUT MANUSCRIPT SUBMISSION TO AGENTS AND PUBLISHERS. From the process of researching your market, to composing a query letter, to putting together various submission requirements, to actually getting out into the world. It is everything writers in any category and with any kind of project (not just children’s!) need to know to get their work out into the world, told from the perspective of yours truly, a former literary agent with ten plus years in the publishing business. Practically, it is a longform class that you can take at your leisure in your own home. It consists of videos, written materials, handouts, even a spreadsheet. It’s set up like an online course that you can start and stop whenever you want. (In fact, the interface they use is one of the things that really drew me to creating a Writing Blueprints system. It was really easy for me to use as I test drove some of their other Blueprints.) You pay one price to buy it, and then you own access to it forever. You can use it and watch it and rewatch it. This has been a labor of love I started in November 2017 (watch out for several different haircuts, ha!). I recorded about ten hours of video instruction, wrote 35+ handouts, interviewed the amazing John Cusick for bonus material, gave feedback on sample query letters, developed two webinars, and much more. Now it is FINALLY available. I really put a ton of work into it, and I am very proud of how it turned out. I hope you enjoy the Manuscript Submission Blueprint! Mary, I enjoyed listening to your enthusiasm. You sold me and I decided to try to get to a publisher at last. I have been writing and self-publishing locally for 25years. This makes me over 80. Am I too old to learn? I sent a 2-time payment through the site and hope it worked tonight. I use a yahoo.ca email most of the time so I get you best there. Laura has helped me in the past and I have a blueprint on writing MG books. They are always thorough. Thanks for your strong knowledge and keen help.